Our financial institutions are in chaos: our politics are mired in scandal and incompetence. 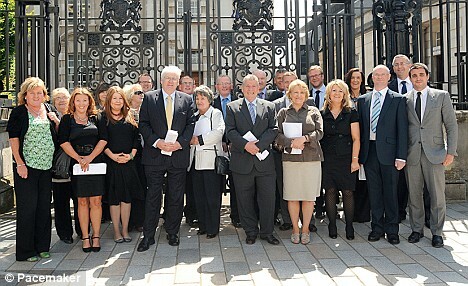 But yesterday in the High Court in Belfast, a judge showed that one part of our system still works. Sitting in the press box in Belfast High Court yesterday, listening as Mr Justice Declan Morgan read out his judgment, I realised with about 20 minutes to go that he was going to find in the families' favour. To put it another way: he found in favour of a group of brave, tenacious people who had launched a civil action against the Real IRA and the evil bombers who ripped the heart out of Omagh 11 years ago. I almost never cry, but there were tears rolling down my cheeks as I looked at the faces of those families who had taken on the murderers of their children, spouses and siblings when the criminal justice system failed them. There was Victor Barker, whom I met first in February 2000, when he told me about how his 12-year-old son James died in Omagh and told me he was thinking of taking a civil case against the bombers. There was Michael Gallagher, whose brother was shot dead in 1984 by the IRA, and whose only son Aiden was murdered in Omagh by the real IRA 14 years later - a resolute, determined man who said he would never give up until those involved were brought to justice. And there alongside them were the courageous men and women of the Omagh Support and Self Help Group who had taken on some of the most dangerous terrorists in Ireland, men who thought nothing of killing 29 people in cold blood. Let's be clear about this. What we have here is a victory for ordinary decent people. 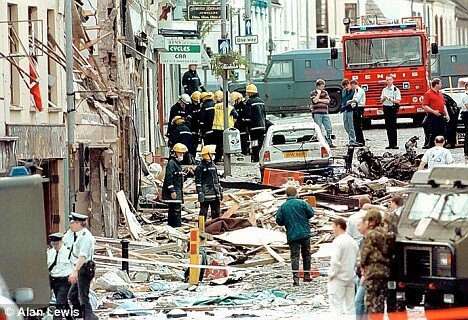 It was ordinary people - mostly women and children - who were in Market Street in Omagh on August 15, 1998 when evil men left a car bomb in front of a shop selling school uniforms. On that sunny Saturday afternoon, the Real IRA warning in a phone call to Ulster Television was deliberately and dreadfully misleading. Using the recognised Real IRA codeword 'Martha Pope', a man said: 'There's a bomb in the courthouse, Omagh, main street, 500lb, explosion 30 minutes'. And so the police evacuated the milling crowds, taking them like lambs to the slaughter, towards the car where the terrorists had left the bomb. It was ordinary people who were left to grieve after the worst single atrocity in 30 years of Ireland's Troubles. The bomb killed two babies (and two about to be born), three schoolgirls, four schoolboys, six housewives, three shop assistants, a despatch clerk, a shopkeeper, a crane driver, a mechanic, a horticulturalist and a retired accounts clerk. The Real IRA admitted responsibility and Tony Blair, only four months after securing the historic Northern Ireland peace agreement, vowed to pursue the terrorists 'to the ends of the earth'. The identities of the prime suspects soon became known to the police. BBC TV Panorama reporter John Ware even tracked down and confronted some of the bomb gang. And yet no one has been convicted of the bombing in a criminal case. The ordinary people of Omagh were betrayed by flawed police investigations in Northern Ireland and the Republic of Ireland. Likewise, it was ordinary people who were so appalled, so moved by the atrocity that they provided the vital support - in the form of money and kind messages - that made it financially and emotionally possible for the bereaved of Omagh to do the job the authorities had failed to do. 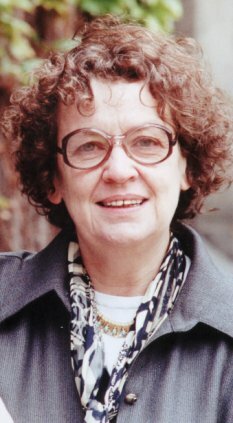 When Victor, a Surrey solicitor, originally suggested taking a civil case against the bombers who had set about destroying evidence and intimidating witnesses, lawyers either scoffed or ran away because they were afraid of the terrorists. Yet in September 2000, a reckless young solicitor, Jason McCue, took the risk. 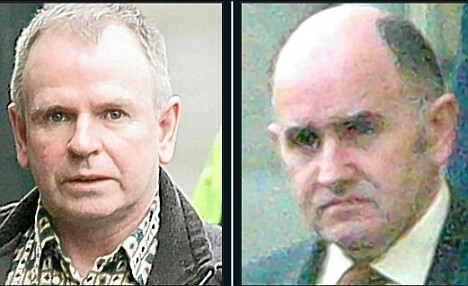 He had made his reputation defeating the chief of staff of the IRA, Thomas 'Slab' Murphy, in a libel action Murphy had taken against a newspaper that accused him of being a smuggler and a member of the IRA - and with immense courage he agreed to take on a case without precedence or funding. Robert Cranborne, one-time Conservative Leader of the House of Lords, who is now the Marquis of Salisbury, had provided the vital seed-corn money for the case. And after a meeting with bereaved relatives, Paul Dacre, the Editor of the Daily Mail, decided to launch a campaign to raise funds for the action, appealing to readers to provide for a case that was fraught with difficulty. Tens of thousands began to roll in as those readers responded magnificently and Lord (Dan) Brennan QC, a barrister who passionately believed in the cause, agreed to take it on. And so it was that an unprecedented £10million civil action by ordinary people against the terrorists was launched. There were still formidable obstacles to be overcome. For years, the police both north and south of the Irish border refused to hand over evidence, claiming that by doing so, a number of criminal cases they hoped to bring would be undermined. From the British security services, the Omagh campaign had nothing but obstruction. Our secret services were determined to keep everything secret. The only means of gaining access to documentation that any sane system would make publicly available was for the campaign's legal team to spend years fighting in the courts. At times we all felt on the verge of despair. But in those desperate moments, support for the cause came from every quarter. There was a seething outrage at the injustice of it all - that the bombers could literally get away with murder. Who would have believed, that Peter Mandelson - who as Secretary of State for Northern Ireland had promised his support to the Omagh families - would stick to his word after he was driven out of office in January 2001 and nag the Government into giving legal aid to the families? And while the police bosses were often unhelpful, the rank-and-file were on-side. 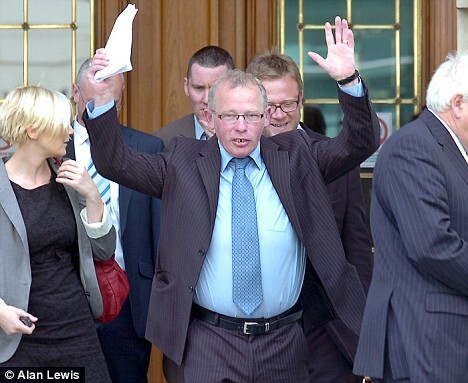 When police from Britain, Northern Ireland and the Republic were finally allowed to give evidence in the civil case, they did so with enthusiasm, as did the many who came out of their retirement and climbed happily into the witness box. The case was supposed to come to court in 2004, but incessant delays held it up until April 2008 and in the meantime, worn-out by disappointment and frustration, many relatives withdrew from the class action. And after finally coming to court, the proceedings were so drawn out that a case which was expected to last eight weeks went on for virtually a whole year. Although it was a case of vital importance, the delaying tactics of the defendants' publicly-funded lawyers turned the whole thing into yet another endurance test. As author of the official book on the case, I sat through nearly all of it, and I despaired on so many occasions as to whether we could ever get to the truth through the morass of legal argument. I feared that in the end these brave people who had endured so much would once again be denied the justice they deserved. But yesterday, the tenacity and endurance of those Omagh families was finally rewarded. And every good man and woman who played a part in helping them challenge the Real IRA can feel proud today; every Daily Mail reader who sent a contribution gave the victims hope and courage. Sir Declan Morgan is about to become the Lord Chief Justice of Northern Ireland. Even before he begins his new job, he has shown that the law can ensure justice. He stuck rigidly to the law, but he showed human sympathy towards the victims and grimly-expressed outrage towards the perpetrators. So what now? 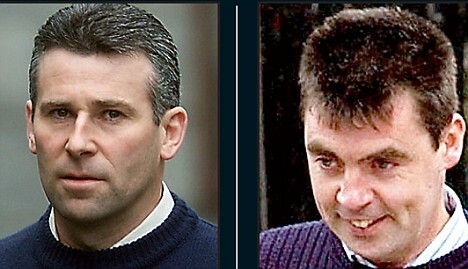 Well, for a start, four men have been named as responsible for the Omagh bomb. They should henceforward be treated by everyone who meets them as pariahs. The authorities should pursue them ruthlessly for the substantial financial damages awarded against them. And everywhere, victims should be looking at known terrorists whom the law has not touched and considering if they can go after them. And now that the Real IRA has been held legally responsible, why not go after the IRA and other evil death-dealing organisations? The beleaguered British government can take a bow. Late in the day - and only because of a determined Peter Mandelson - it did the right thing by the families of Omagh and should be lauded for it. Today, let us rejoice. In the High Court, as the judge reached his conclusions, incredulous delight spread across the faces of those families who had doggedly stuck to the case through without much hope of success. Afterwards, as we all hugged each other, Lord Brennan told them their famous victory would resonate around the world, give terrorists cause to worry and give other victims hope. The relatives, the lawyers and the supporters were caught up in a moment of sheer joy. The pain of losing their teenage daughter Lorraine never diminishes for Godfrey and Ann Wilson. 'It's like a black shadow forever following me around and I can't shake it off,' said Mr Wilson. That dreadful Saturday 15-year-old Lorraine had given up one day of her weekend to work in the Oxfam charity shop in Omagh with her friend and fellow volunteer Samantha McFarland,17. 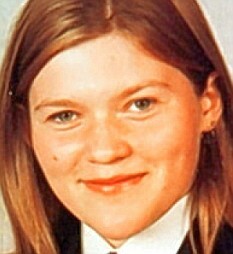 Lorraine had been about to start her final year studying for GCSEs and her ambition was to become an air hostess. Mr Wilson gave evidence at Belfast High Court to provide a harrowing account of the effects on him, his wife and family of the attack. He said he had cried so hard for three months solid he was left with ulcers in his eyes and described being confronted with his daughter's body in a morgue. His wife Ann has also suffered terribly and is battling post-traumatic stress disorder. For many, he is the face of the Omagh families. Michael Gallagher has been at the forefront of their campaign, putting into words the pain and suffering caused by the Real IRA and leading the fight for justice. Quietly spoken Mr Gallagher and his wife Patsy lost their 21-year-old son Aiden in the blast. Father and son worked together in the family car repair business and the knowledge that nobody is behind bars for his murder is impossible to accept. Aiden, a 'gentle giant' living at home with his parents, was killed when he went into Omagh to buy a pair of trousers. In the intervening years Mr Gallagher became spokesman for the families. The cost has sometimes been severe. In court a psychiatrist said he became irritable with his family, couldn't relax and began using alcohol as medication. 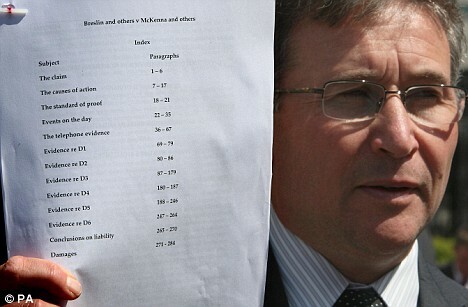 Dr Nicholas Cooling said Mr Gallagher has become so pre-occupied with the case it has gradually become his life. 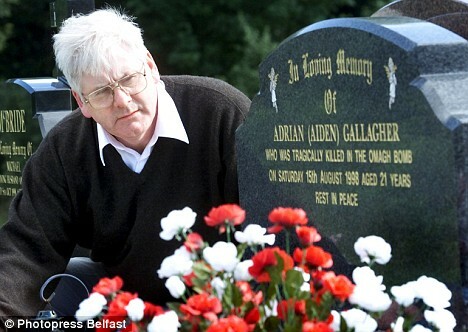 Aiden's death was not Mr Gallagher's first loss to terrorism. In 1984, his younger brother Hughie, a taxi driver, was lured to an address outside Omagh and killed by the IRA, at 26, leaving a wife and two children.